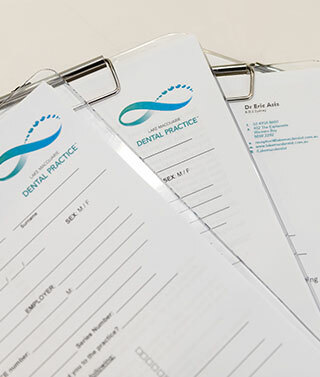 Dentist by day and DJ by night, Dr Eric loves to mix party tunes as a DJafter hours! 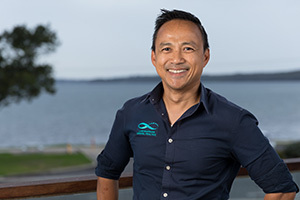 Don’t be surprised if you find him supporting his local children’s school, Charlestown South Public School at dances including the year 6 farewell. He also puts his DJ skills to good use with the local youth community, sometimes pumping the disco tracks so loud that the police are called for noise pollution! 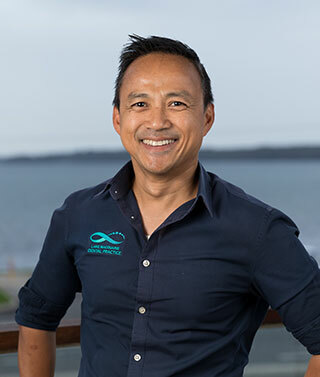 Dr Eris is also a very dedicated family man and loves spending time with his wife and four children. His wife Rachel is also the Practice Manager of the clinic and the love of his life. They met each other working at McDonalds flipping burgers as young whipper snappers and have been working side by side together ever since. With the few spare hours he has left, he also loves going fishing in the early hours of the morning (sometimes the late nights too)! 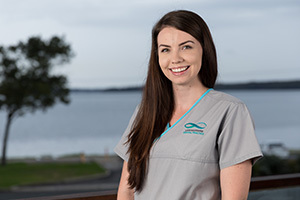 Dr Meg grew up in Newcastle, and originally studied Pharmacy at Newcastle University, but after deciding it was not the best fit for her, she moved to the Gold Coast to study Dentistry at Griffith University. 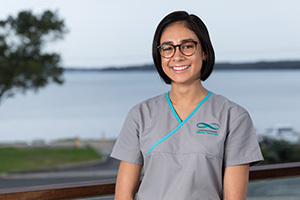 After graduating she relocated back to Newcastle, so she could raise her young family. 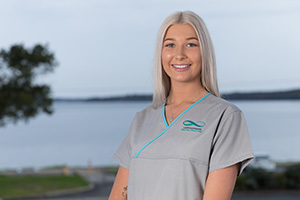 Meg started working here at Lake Macquarie Dental Practice in December 2017 after working for several years in Nelson Bay. 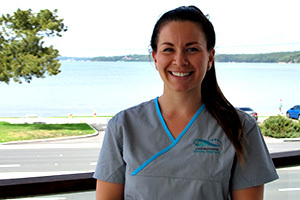 Meg always likes to make sure her patients feel comfortable and have a better understanding of their oral health. 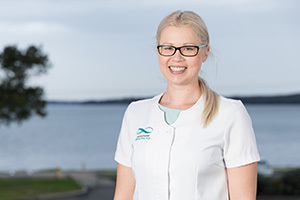 She strives to give every patient the best possible care with her attention to detail. Meg is currently working part time whilst also looking after her two young children. 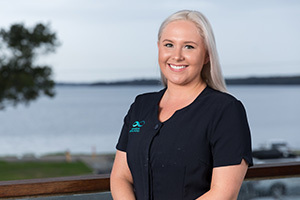 Rachel is the ‘driving force’ in the Asis family, a domestic engineer, a multi tasker, one of the hardest working mothers and business woman you will ever meet and Practice Manager at Lake Macquarie Dental Practice. 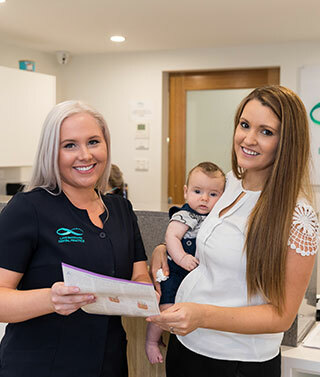 After spending 10 years of raising four beautiful babies as a devoted full time mum, Rachel hopped on board the Lake Macquarie Dental Practice team and brought her finance and organizational skills to the clinic. 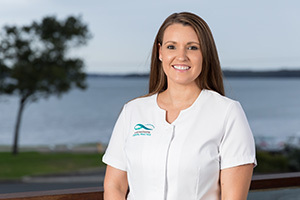 As a family run business, Rachel is an incredible support to her husband in the Practice Manager role and has embraced Eric’s ethos of treating patients like their own family. 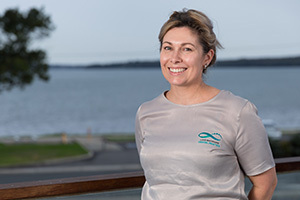 Rachel loves whipping up delicious dishes in the kitchen and is also one crafty mama, just call her the Martha Stewart of Newcastle… She also has a green thumb and likes to get her hands dirty in the garden. Spending time with her kids and her ‘awesome’ hubby is Rachel’s most cherished past time. 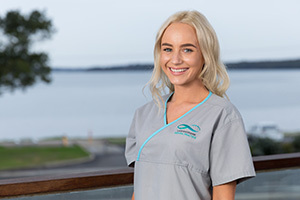 Hi, my name is Kaylee, I’ve been a dental assistant for 3 years. In 2015 I decided I wanted a career change, a total industry chance in fact. In 2016 I started out at LMDP with Eric, Rachel and the fabulous team training me up to gain my certificate 3. Soon after I ventured off for roughly 2 years. Now I’m back with LMDP and couldn’t be happier, our patients truly get the best care by a passionate team that thrive off each other. In my spare time you might see me at a local food market or walking by the lake with friends and fury friends in tow.